Abalone Cove is one of the best kept secrets in Southern California. 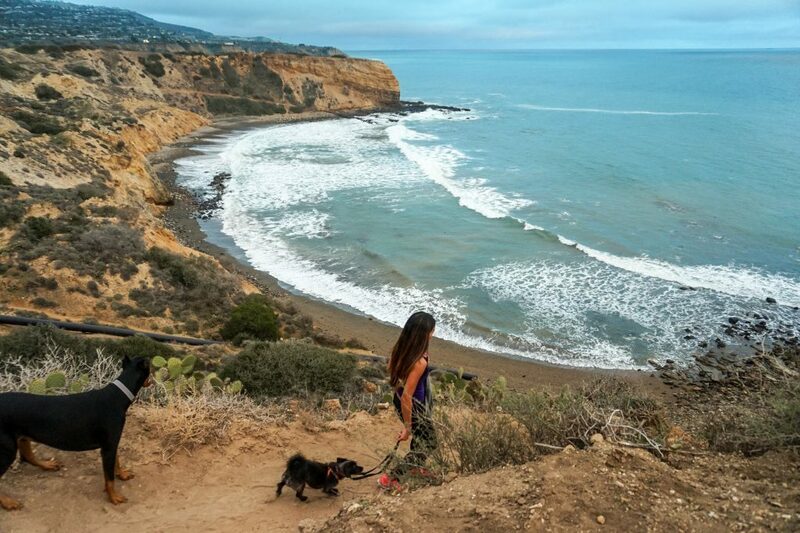 Located in Palos Verdes, this hike has easy to moderate difficulty trails and amazing views of the ocean just about anywhere. The trails are usually empty and almost all of them lead down to secluded beaches. Once you park in the designated lot off Palos Verdes Drive, head to the left and within 5-10 minutes you will reach the first beach. This beach is mostly covered in rocks and pebbles so if you are planning to lay out, keep heading left and after a 30 minute hike you will reach the second beach that is sandy and isolated and will make you feel like you’re on your own private beach. Abalone Cove is a wonderful place to catch a sunset but the parking lot closes at 4pm, so if you’re planning to stay late street parking is readily available nearby. Located around protected wetlands, this hike is easy, wide and flat for the most part. With a beach view and ocean breeze, the many paths make for a nice stroll with the family or the perfect place for some trail running. Since the hike winds through protected wildlife, it’s not rare to see a rabbit run across the trail or spot a stork watching you from the distance while it searches for lunch in the water ponds. 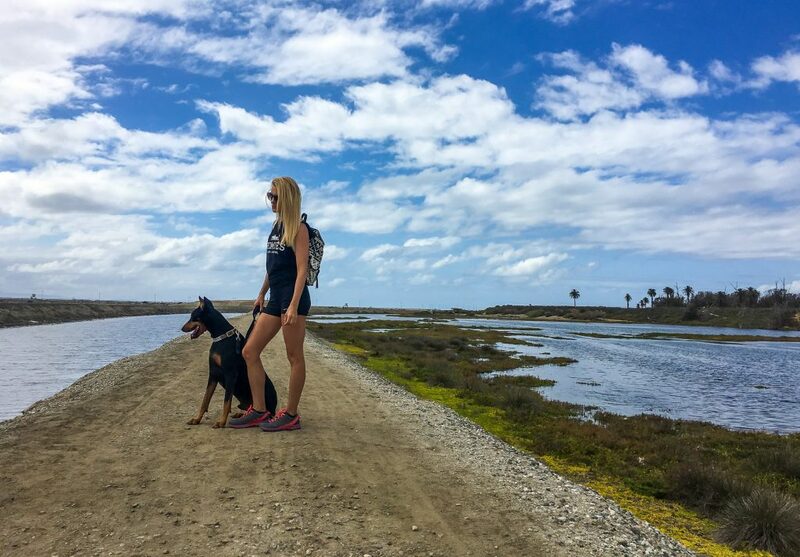 As you explore the 5 miles of trails at one of the largest saltwater marshes in California, you’ll forget how close you are to the bustling city life. If you are looking to expand out of the busy city hikes, the Bridge To Nowhere trail located in the San Gabriel mountains is the hike for you. The 10 mile loop hike is no stroll in the park and it will take you most of the day to complete so we recommend packing a lunch and extra water. After hiking 5 miles through the rugged mountains, you reach your destination-The Bridge to Nowhere. This bridge was built in 1936 but was soon abandoned and left incomplete. 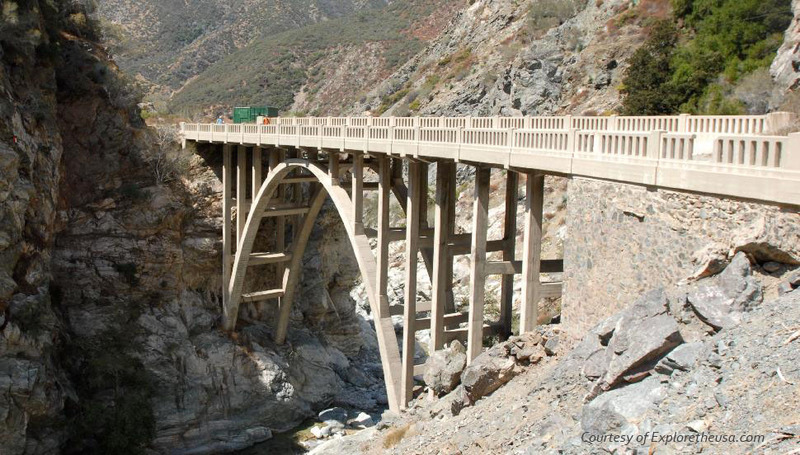 Now, the only purpose of this bridge is to be admired by hikers and as a base for bungee jumping on the weekends. The hike to get to this bridge runs along a river which you will need to cross multiple times, so bring extra socks with you. Since this is on national forest operated lands, a Wilderness Permit and National Forest Pass is required to hike this trail. Wilderness permits are free and available at the hike and national forest pass can be purchased at these locations. 1000 Steps Beach in Laguna Beach is where you can get your fitness, exploring, and tan, all in one place. The name can be deceiving, as there are actually only 230 steps in a path between luxury homes on one side and waves crashing over tide pools on the other, but your legs will feel the burn all the same. 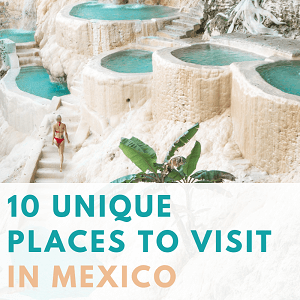 About half a mile down, you’ll find amazing tide pools and jaw-dropping caves along the beach, which you can climb around in and explore the marine life. Only street parking is available and this is a very popular spot on the weekends, so make sure to get there early! Nestled between Foothill Canyon and Santiago Canyon, Whiting Ranch Wilderness Park has multiple trails from easy to difficult levels. 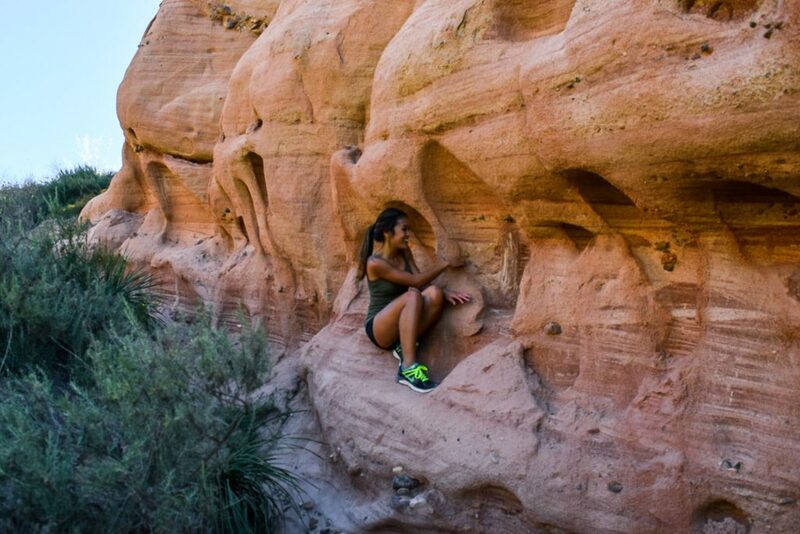 For a good challenge, hike the Red Rock Canyon trail which takes you up the steep Dreaded Hill for approximately one mile, after which you will be glad to reach the Four Corners rest point where you’ll find a map and water fountains. Take a breather and then continue west on the Mustard Trail and follow the trail marker to Red Rock Canyon. If you are brave enough to go rock climbing, scramble and make your way up the red rocks for a spectacular view from the top. But beware that finding your way down the rocks can be more difficult than climbing up! 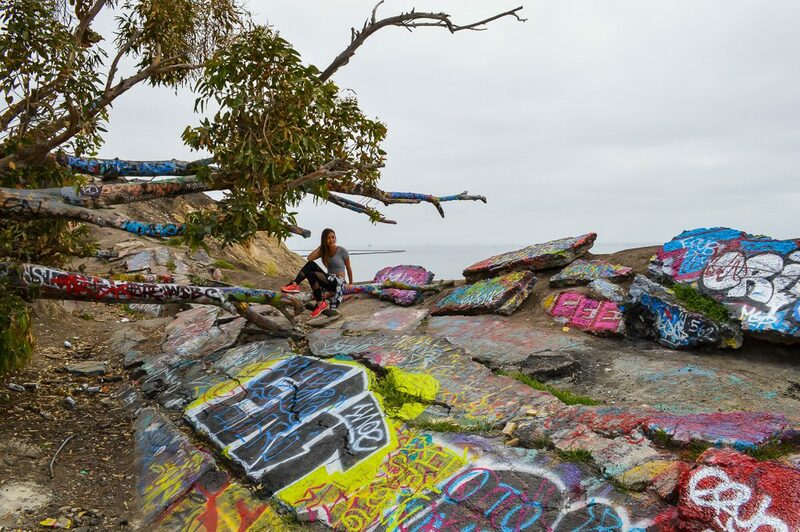 Sunken City is a great place for a morning adventure in San Pedro off Paseo Del Mar road. The entire area is fenced off with “No trespassing” signs, but you can find ways to get through and it’s definitely worth stepping out of your comfort zone for one-of-a-kind adventure. Sunken City is the effect of a San Pedro landslide in 1929 which left this beach area in ruins of old roads and broken pipes that didn’t sink into the ocean. Over the years people have come here to create street art on the rocks which makes this place unique and a beautiful place to explore. Just be careful near the cliffs as this area is not well kept and requires extra precaution. This is not a family friendly hike, but one that you will leave in an awe. 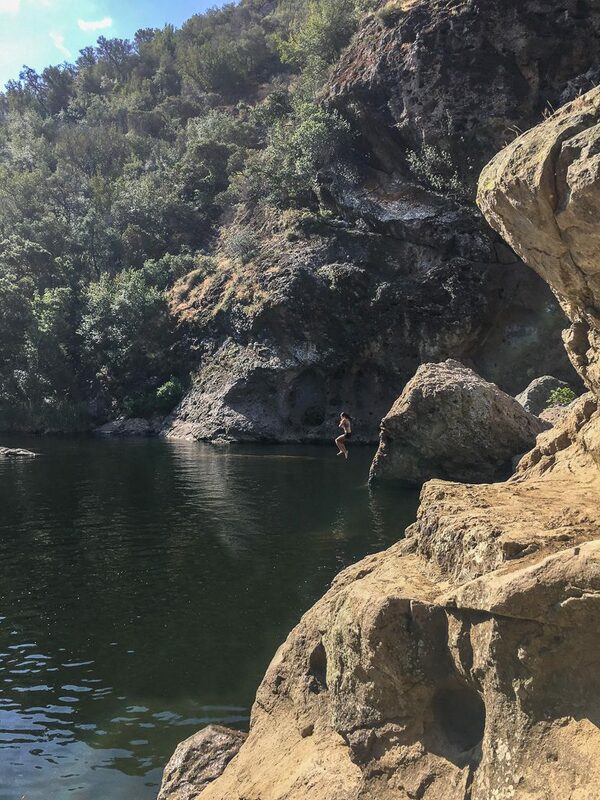 West of Downtown Los Angeles, Malibu Creek State Park covers 8000 acres and a 25-mile long creek. This is a great place to escape the noise of the busy city and go off-the-grid. 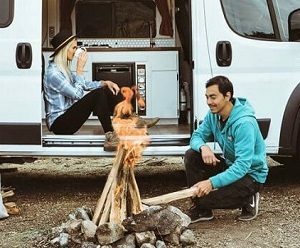 Pay $10 for parking and you can camp (make sure to book your reservation early), hike the well-marked hiking trails, rock climb, and you can even go for a dip in the creek by jumping off a boulder. If you are into more extreme adventures, go to The Planet of the Apes Wall which is a great 60-foot rock climbing spot with routes difficulty ranging from medium to hard. Over the years, this park has been a popular place for filming movies and shows like M*A*S*H, Butch Cassidy and the Sundance Kid; even Planet of the Apes was filmed at this park! 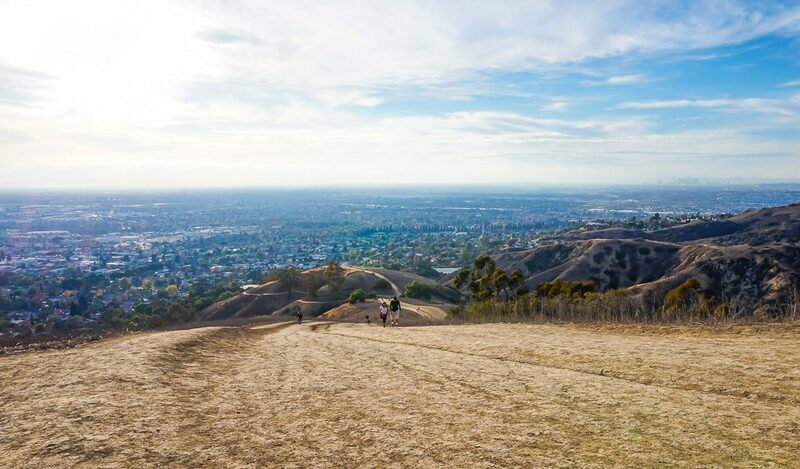 Located in Whittier, Hellman’s Park is the perfect weekday hike for those that live more inland and want to get a good workout. The 5 mile hike starts off steep and it will definitely make you work for it, but the view at the top of the surrounding cities is well worth it. Once you make it to the top, the hike levels out and you are just hiking along the top of rolling hills. On a good day you can even see downtown LA on one side and the ocean on the other. Note that the parking lot is very small but street parking is available a few blocks away out of the permit zone. 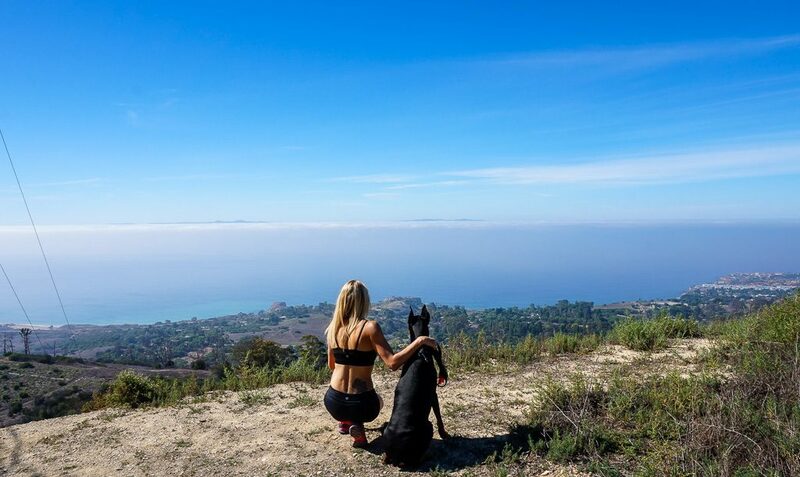 This popular hike starts off on a wide paved road in Malibu and winds up into the hills between multi-million dollar mansions with perfect ocean views. If you are yearning for more nature, don’t worry, the hike soon heads off the pavement and into the wilderness. 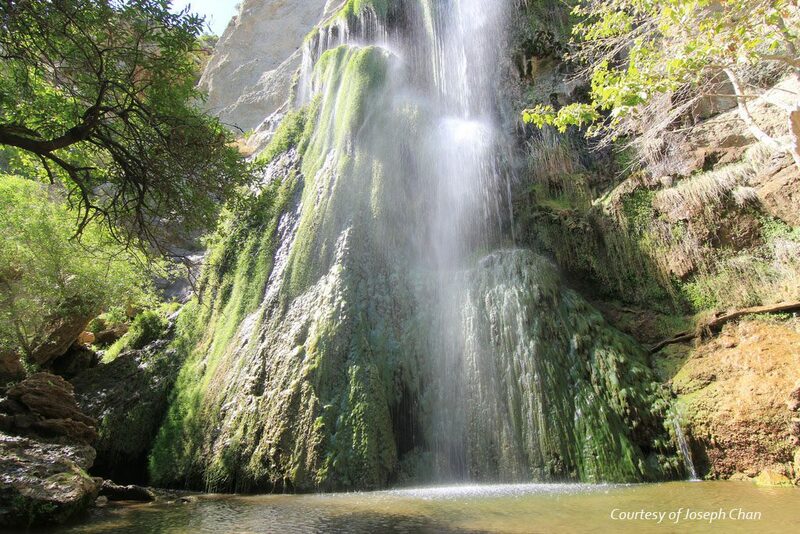 The trail ends at the base of Escondido Falls, a 150-foot multi-tiered waterfall, best seen during the rainy season. For those feeling adventurous, there is a small, steep trail that leads to the top but it is not recommended for children or dogs as there are parts where holding on to a rope is required. There is a small parking lot designated for hikers at the trailhead but try to get there early as it fills up very early. However, street parking can be found along Pacific Coast Highway. Another favorite in Palos Verdes, Portuguese Bend starts on top of a hill with breathtaking views of the ocean and Catalina Island in the distance. Once you park on Crenshaw Boulevard or at the nearby small, designated parking lot, you will see a gate where the trail starts. Walk around the gate and start your 6 mile hike across the rolling hills on Palos Verdes. From the top of the hill, the hike is easy at first and winds downwards, but the way back up can be difficult and steep. The trail is also exposed to the sun with no shade so bring lots of water to keep hydrated. If you stay on the trail to the left it will take you down to the beach whereas trails to the right lead down to the residential neighborhoods where wild peacocks reside. If you’re lucky you might even spot one walking around on the streets, or at least hear one from the distance. 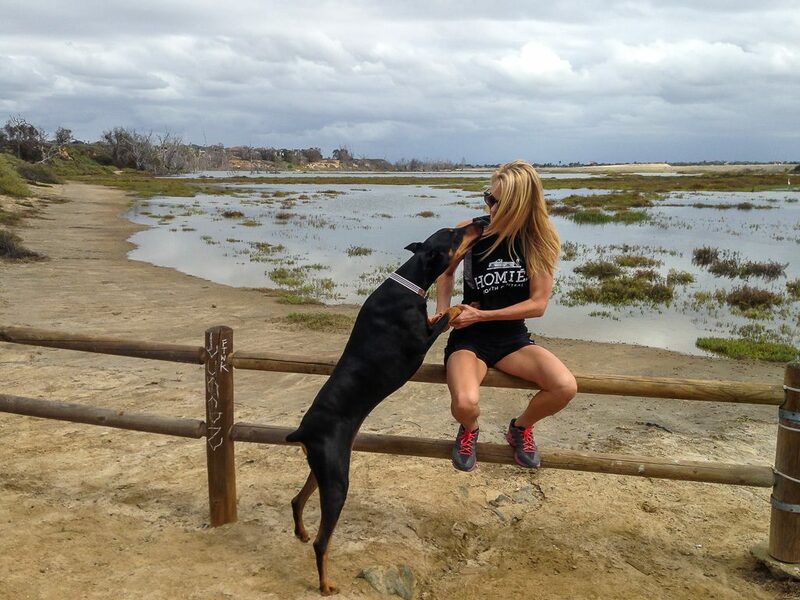 There is so much to explore in SoCal area so grab your friends, head outside and go discover! Have you hiked any of the trails above? We want to hear all about it. Let us know about your experience below. Awesome post! I am moving to SoCal in September and will definitely refer back to this post once I arrive! Hi Athina! That is great! 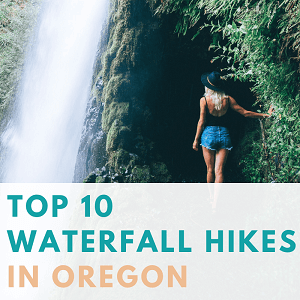 Let us know what you think about these hikes and which one is your favorite. Good luck with your move!